We liked how they had renovated the place that featured spacious seating arrangements. Tastefully appointed with floor-to-ceiling windows, there was no shortage of natural light. Onto the food, we began with 3 orders of rice noodle rolls including the Donut Rice Noodle Roll, Shrimp Rice Noodle Roll and Mushroom Noodle Roll (not pictured). 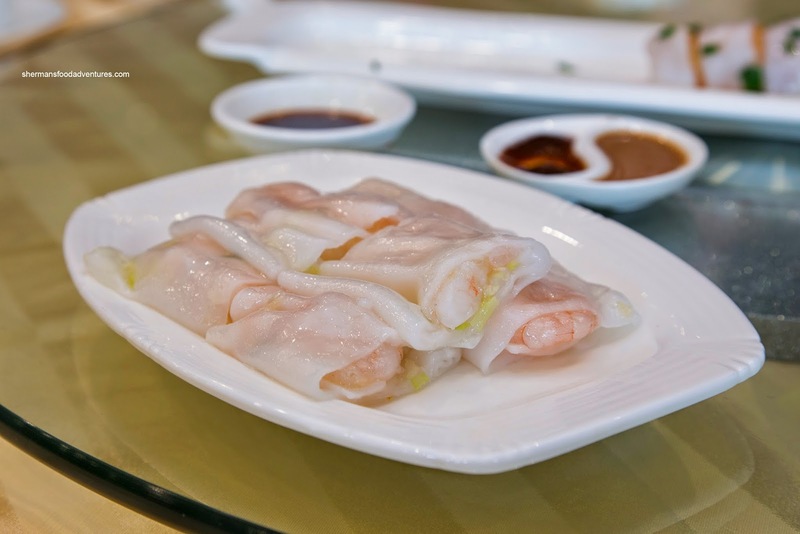 We found the rice noodle to be thin, soft and at the same time retaining some elasticity. The salty donut was crispy and easy on the grease while the shrimp was meaty rather than having a buttery snap. A smattering of flowering chives were a nice addition as it added a nice essence. 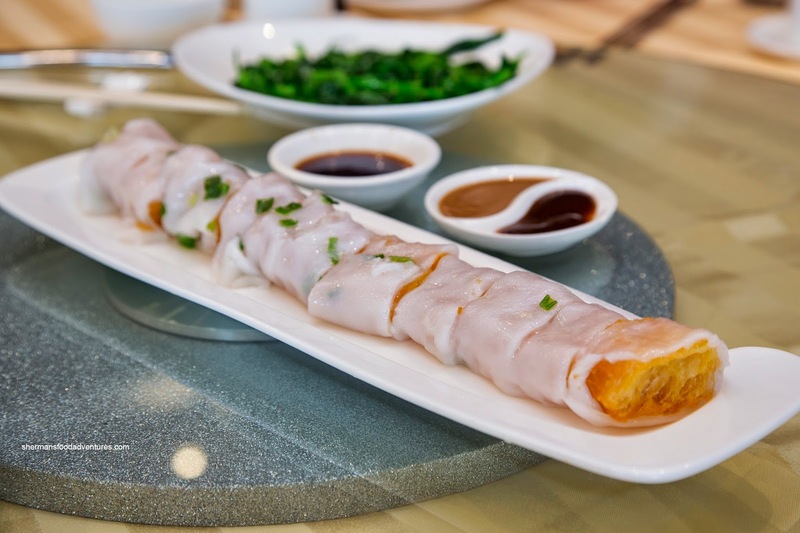 Consisting of shiitake, button and enoki, the mushroom rice noodle roll was Earthy and flavourful on its own. 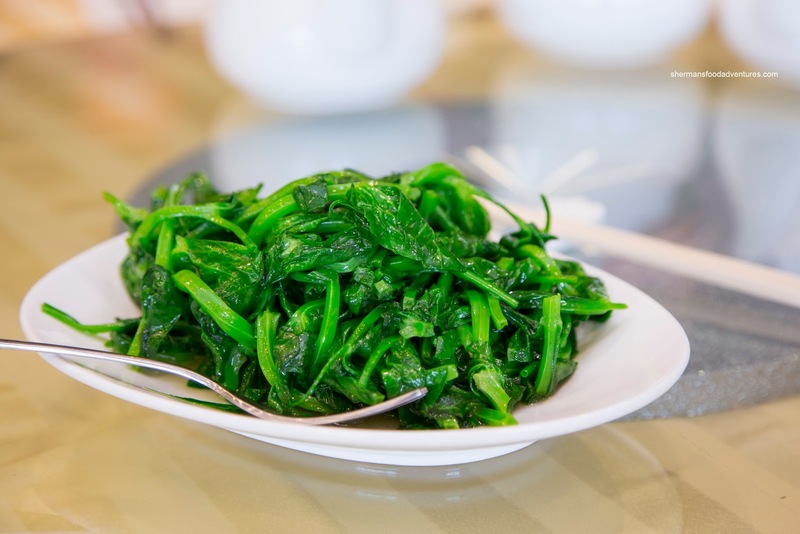 To make us feel better about the meal, we got an order of Stir-Fried Pea Shoots as the obligatory green thing at our table. I guess this was somewhat all-for-naught because it on the greasier side. On the other hand, it was cooked properly retaining a crunch where it was seasoned just enough that we could still taste the vegetable. 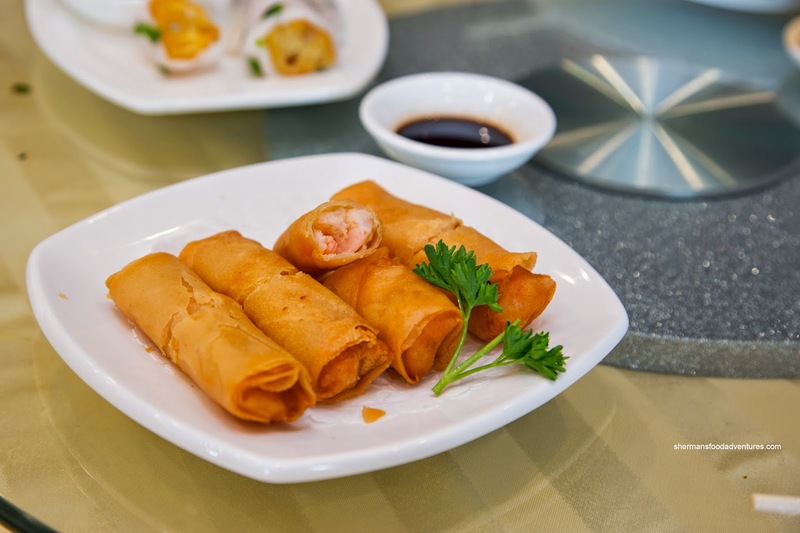 Naturally, we moved from veggies to something fried in the Shrimp Spring Rolls. Piping hot and crunchy, these were obviously fried in the proper temperature as there wasn't much grease. The shrimp filling was garlicky and shrimp-tasting, but lacked snap. Much like the rice noodle roll, it was meaty in texture. Onto something a bit different, we tried the Bean Curd Sheet Rolls in soup. 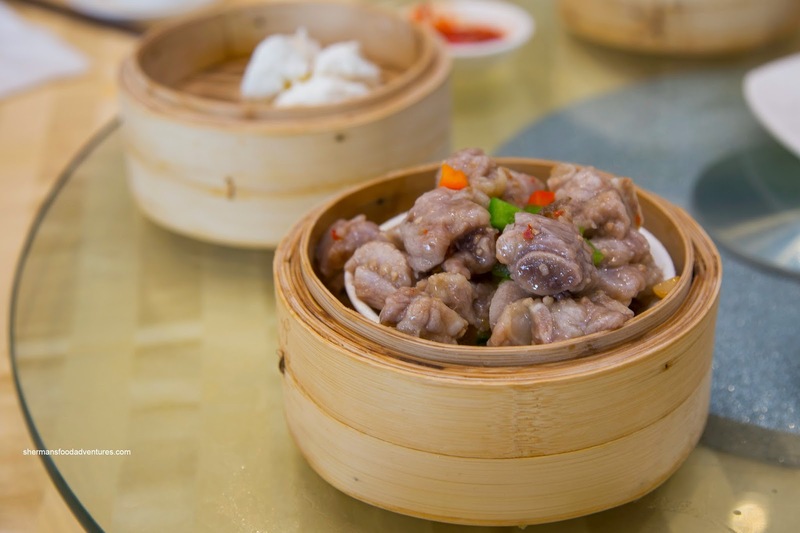 Normally, these are filled with pork and served in a thickened diluted oyster-based sauce. Instead, the filling was fish mousse and as evidenced in the picture, it was sitting in broth. The light fish filling had a rebound texture while being sweet and lightly salted. With a good amount of greens in the mix, it broke up the monotony of the mousse. 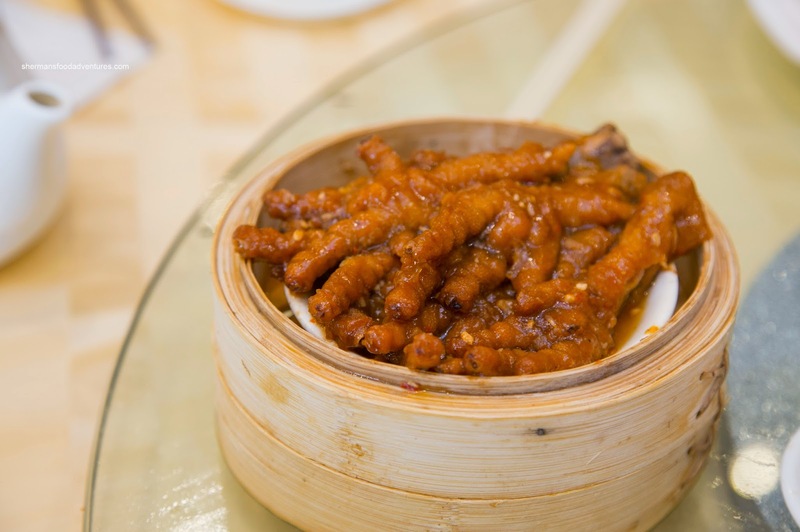 Next up, we had the Phoenix Talons (aka Chicken Feet). With 6 pieces, this was a substantial portion. However, they were somewhat overdone as the cartilage underneath was very soft. Flavours were good though with plenty of garlic and a touch of spice. 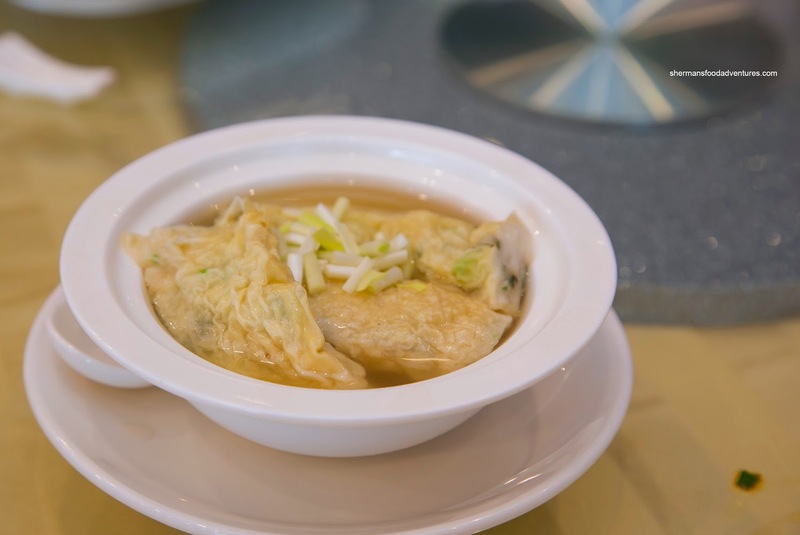 Of course we had to get to the most important dishes eventually in the Haw Gow and Sui Mai. 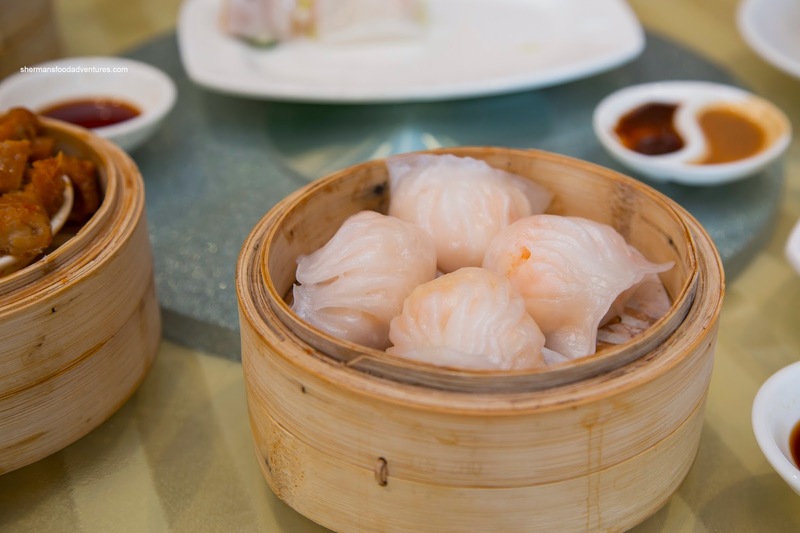 With the shrimp dumplings, we found the skin to be just right being chewy while not doughy. The filling featured whole shrimp which were consistent with the rest of the dishes being meaty with only the slightest of snap. It was well-seasoned with a pleasing hint of sesame oil. 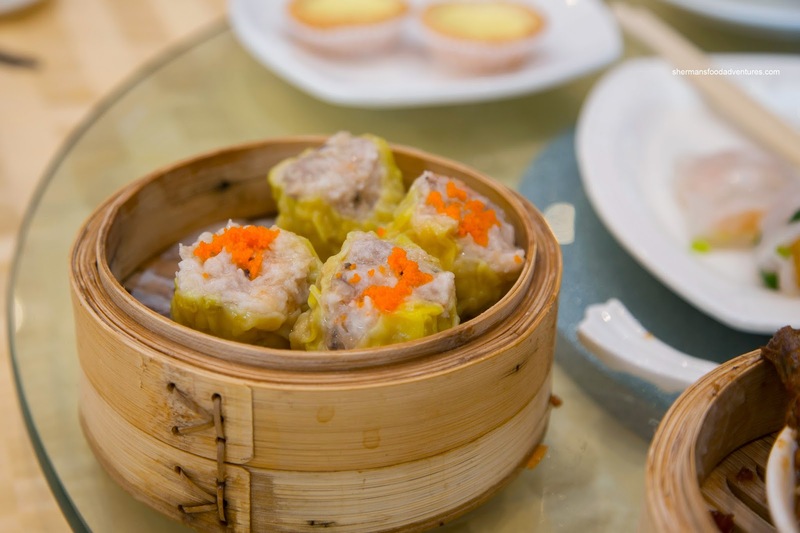 They weren't too careful with the sui mai as one of them was completely missing tobiko on the top. As a whole, they were chewy with a touch of rebound. In terms of taste, the natural pork flavour was dominant with a touch of sweetness. Yet it was missing something, like maybe more shiitake, salt or shrimp (or maybe all of them?). 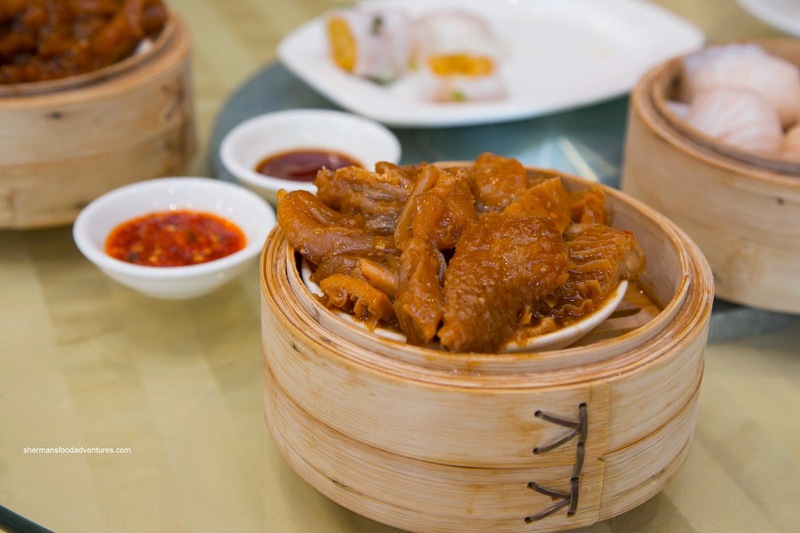 And filling in the offal quota, we had the Tripe and Tendon. The tripe was soft with some chewiness, yet pretty gamy. They should've done a better job rinsing them. As for the tendon, they were on the stiffer side which meant more cooking was needed. The dish was well-seasoned though with plenty of garlic and ginger. Now the Steamed Pork Spareribs didn't have any textural issues as they were on point. They were chewy with a moist bounce. The seasoning was also quite impactful with garlic and the peppers really coming through. Furthermore, the rib pieces were really good where it was minimal on the fat and cartilage. 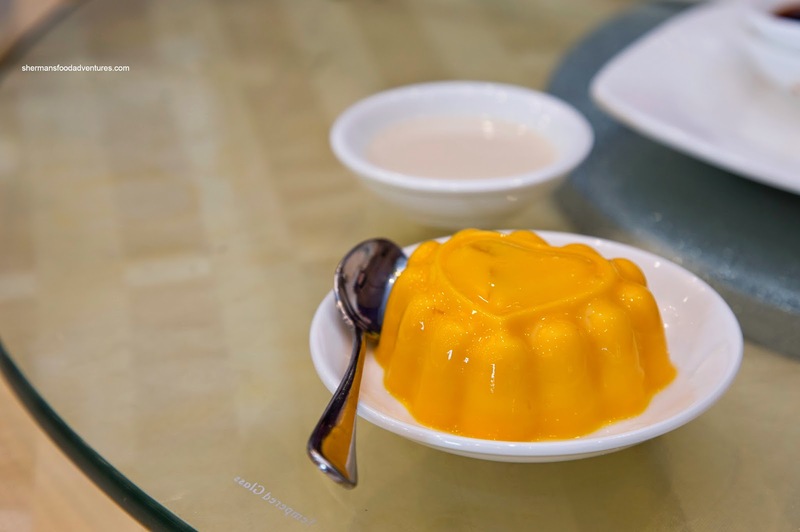 In an unusual twist, we ordered 3 desserts, partly because my daughter ate an entire Mango Pudding by herself (in addition to the other desserts). It was pretty typical though where it was a gelatin rather than pudding. It did have some mango essence though and wasn't overly sweet. Next, we had the Steamed Custard Buns which were fluffy and light. Even the custard filling wasn't crazy sweet, which made it bearable to eat. Finally and arriving last (yay! 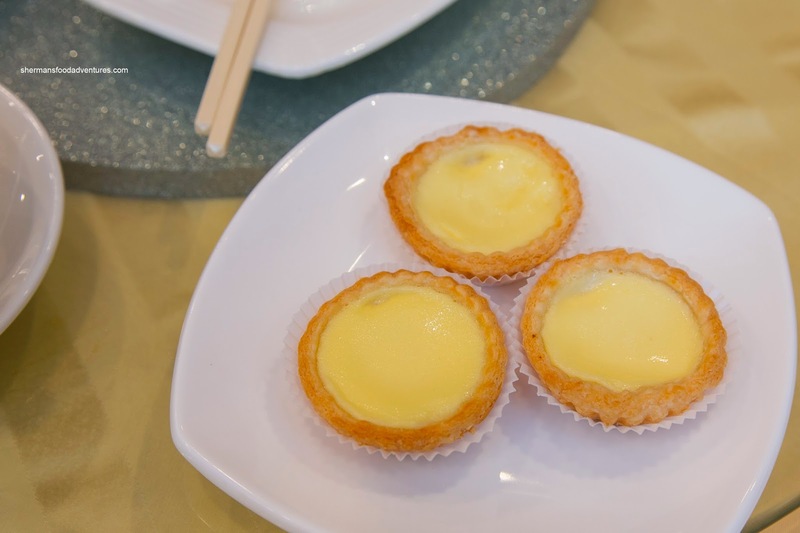 ), the Egg Tarts were flaky but a touch too soft. The custard was silky and light being easy on the sugar. 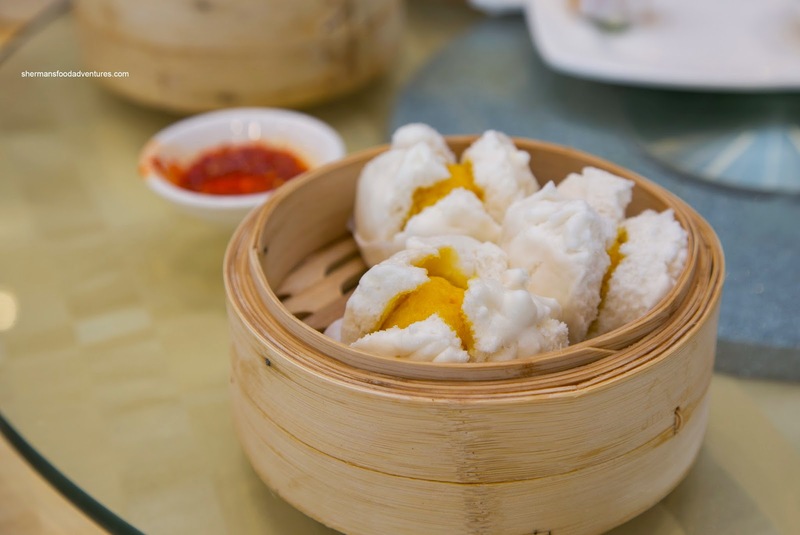 Overall, for a new restaurant, Lee Garden held its own in terms of Dim Sum service. 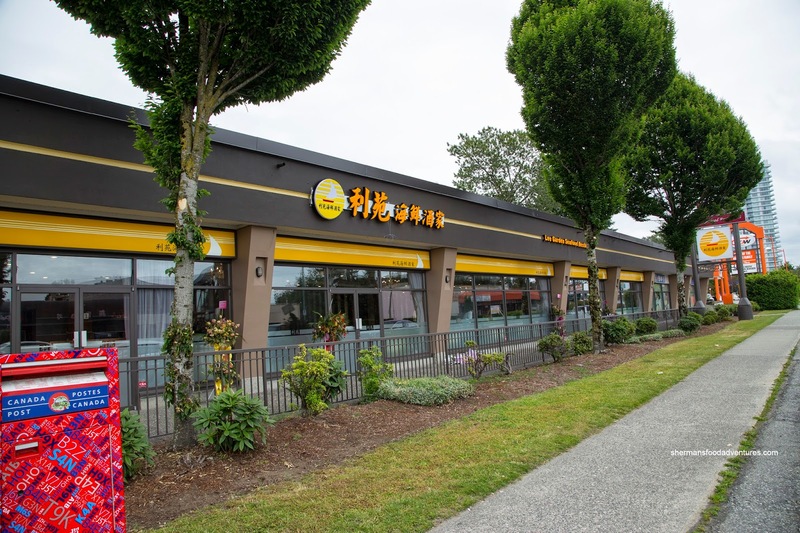 Devoid of glaring errors and featuring fairly decent service, we may have a good higher-class Chinese restaurant in the Edmonds area.